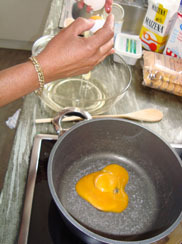 In a saucepan and with a wooden spoon mix yolks and condensed milk to medium heat. 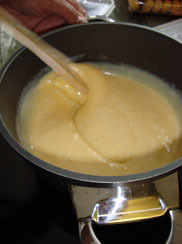 Add butter and stir continuously. 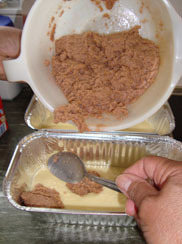 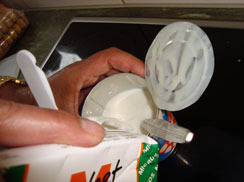 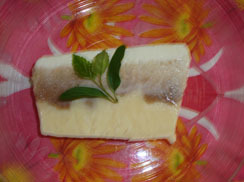 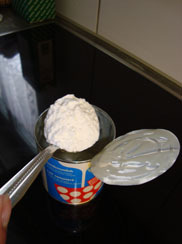 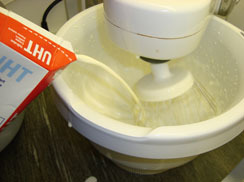 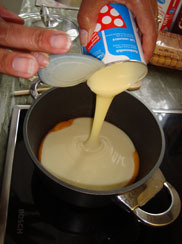 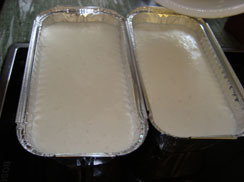 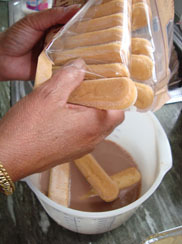 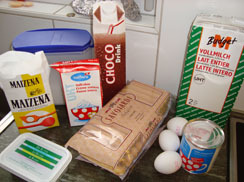 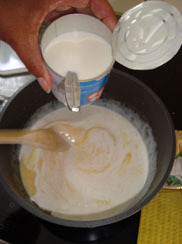 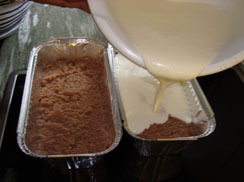 Inside the empty can of condensed milk, dissolve Maizena in milk and add to mixture until it thickens. 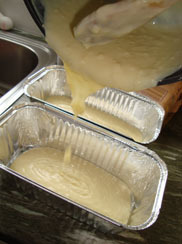 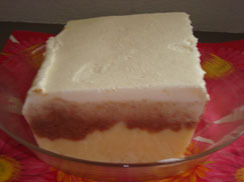 Pour mixture in mold, create first layer and let it cool. 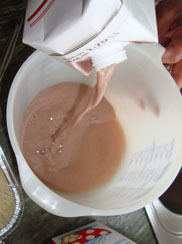 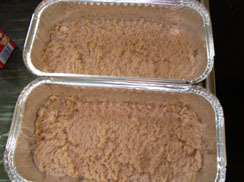 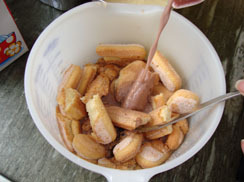 Dip the cookies in chocolate milk, mash them, create a second layer and let it cool. 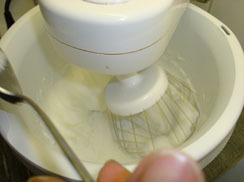 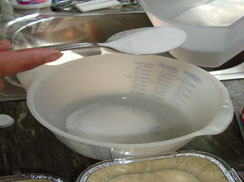 Beat whites until stiff, add sugar and cream until fully blent and create the top layer.